On Sunday mornings we decorate the church with beautiful flowers, given to the glory of God. Often families and/or individuals choose to donate the flowers in honor or memory of a loved one, or in celebration of an anniversary or a special day. The cost is $135. 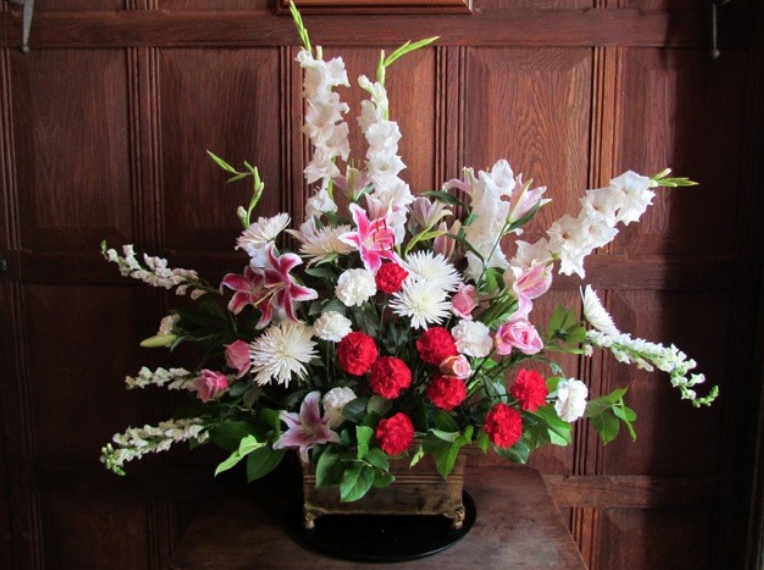 Please contact Betsey in the church office (540.592.3343 or betsey@trinityupperville.org) if you would like to donate flowers. Featuring the Children’s Christmas Pageant and celebration of the Holy Eucharist. With the full Trinity Choir, soloists, and strings and the celebration of the Holy Eucharist. A more quiet and contemplative liturgy, a cappella music, and the celebration of the Holy Eucharist. The Church Office will be closed from Noon on Dec 21 and reopen on Jan 2. On Sunday mornings we decorate the church with beautiful flowers, given to the glory of God. Often families and individuals choose to donate the flowers in honor or memory of a loved one, or in celebration of an anniversary or a special day. The cost is $135. Please contact Betsy in the church office (540-592-3343 or betsy@trinityupperville.org) if you would like to donate flowers. with the full Trinity Choir, soloists, strings, and the celebration of the Holy Eucharist. The Flower Guild will decorate for Christmas on Friday, December 22, at 10am. If you would like to participate, please bring holly and greens for arrangements! All members of the Altar Guild, Flower Guild, Ushers, Lay Readers and Lay Eucharistic Ministers are invited to gather for instructional refreshment of their duties and a Thank You luncheon for your dedicated service. Persons interested in serving in one of these capacities are also invited to attend to learn more about how they can participate in these service ministries. Please call Betsy in the church office (540-592-3343) if you are participating and will be attending the luncheon. All Saints Sunday is just around the corner on November 5. On All Saints Sunday we remember all those who went on to glory in the past year. 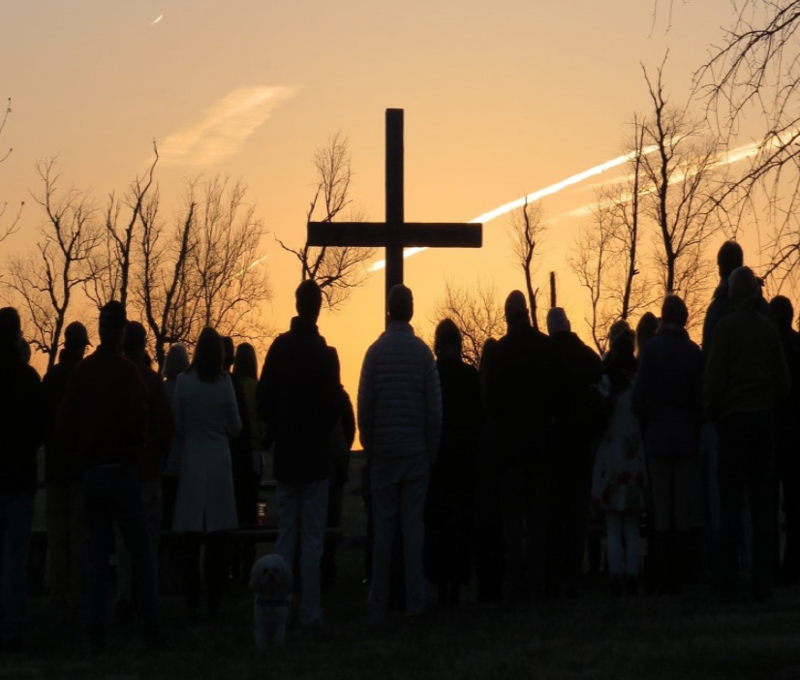 During worship, we will have a special time of remembrance for those whose funerals we observed here at Trinity this past year. Join us for this celebration of life and the life to come! Pentecost is the fiftieth day after Easter, this year, June 4, and we will celebrate Pentecost by wearing red (if we have red to wear or perhaps pink) and by reading Scripture together, some of us in other languages. But why do we do this? Why is Pentecost important? After his death on the cross and his resurrection, Jesus appeared to his disciples and gave them proof that he was alive. He told the disciples to wait in Jerusalem for the Father’s gift of the Holy Spirit, from whom they would receive power to be his witnesses to the ends of the earth. Jesus ascended to heaven and the disciples returned to Jerusalem and joined together in prayer in an upper room. Acts 2: When the day of Pentecost had come, they were all together in one place. And suddenly from heaven there came a sound like the rush of a violent wind, and it filled the entire house where they were sitting. Divided tongues, as of fire, appeared among them, and a tongue rested on each of them. All of them were filled with the Holy Spirit and began to speak in other languages, as the Spirit gave them ability. We celebrate Pentecost to recognize the gift of the Holy Spirit to the believers, to all believers, to “everyone whom the Lord our God calls to him.” We bear witness to this gift on Pentecost by wearing red to symbolize the color of the tongues of the flames that rested on each disciple; and we bear witness to this gift by speaking in other languages - modern languages today - by those who have the ability, to symbolize the diversity of languages that were spoken in the upper room. Sunday, May 14 will be youth Sunday at the 10:30 AM worship service. Join us on Mother's Day as the youth share their gifts in God's service. Wednesday, March 1, 2017 marks the beginning of Lent, a season of reflection and introspection in preparation for Holy Week and Easter. Lent begins with the celebration of Ash Wednesday. On Ash Wednesday we will have 2 services, one at 12pm and one at 7:00 PM. We encourage everyone to participate. The services will include both the Holy Eucharist and the imposition of ashes. During the imposition of ashes, the rectors will take ashes (from the burning of the previous year’s Palm Sunday palms) and will make the mark of the cross on each congregant’s forehead. The imposition of ashes is a reminder of our mortality, and our total reliance on God.